We’ve come a long way since 1911, when the Swiss psychiatrist Eugen Bleuler first coined the term autism. The term autism comes from the Greek “autos”, meaning “self” and Bleuler thought autism was a way to escape from schizophrenia into a state of self-absorption. The last ten years have brought an explosion of new research into autism — now called autism spectrum disorder (ASD) — specifically, a neurodevelopmental syndrome that affects about one in 100 people worldwide. 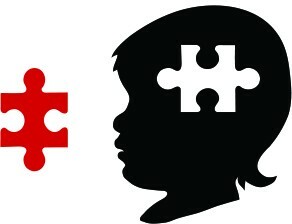 Characterized by early dysfunction in socializing and the presence of repetitive behaviors, a decade ago, autism was considered uncommon and only rarely could we trace the cause back to biology. But a growing body of research has shifted our focus, and we now understand that genetics and perturbations in brain development are the main causes of autism, not parenting or childhood vaccinations as previous speculations suggested. While a fairly rare form of autism, research into Pitt-Hopkins syndrome (PTHS) offers promising discoveries for people with disorders across the spectrum. Pitt-Hopkins happens because of a mutation to a single gene on the 18th chromosome, leading to distinctive facial features and developmental delay — children don’t tend to walk until they are four and most individuals do not speak. Some people also experience difficulties with breathing and digestion, and we currently have no medications to treat this disorder. When rats are genetically modified to have the Pitt-Hopkins mutation, we find abnormalities in their brain cells that seem to explain the cognitive and social abnormalities we find in people. The mutation causes an ion channel protein on the surface of brain cells to be overly active, changing how the nerve cells function — and ultimately how the brain develops and works. When we use genetic editing to render the channels less active or give the rats drugs that target this ion channel, the brain cells begin to functioning more normally. Originally published at www.huffingtonpost.com on April 25, 2017.